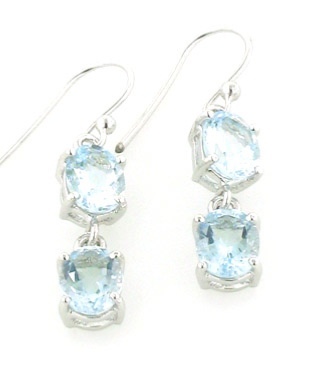 Although a semi-precious stone, aquamarine is a variety of Beryl as is emerald. 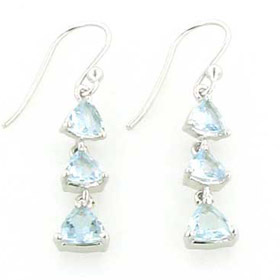 Aquamarine silver earrings are an affordable choice as aquamarine is often set in white gold or platinum. 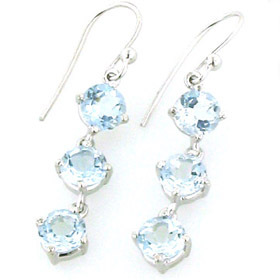 Choose an aquamarine bracelet to wear with your aquamarine earrings. 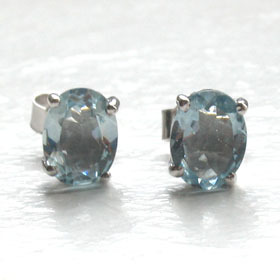 As the name suggests, aquamarine is an aqua blue colour - sometimes more blue, sometimes more green. 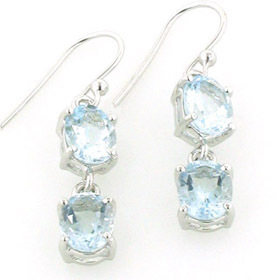 Free delivery anywhere in the UK on all your aquamarine jewellery. Aquamarine droplet earrings claw set in sterling silver. Aquamarine drops claw set in sterling silver. Aquamarine triple droplet earrings claw set in sterling silver.